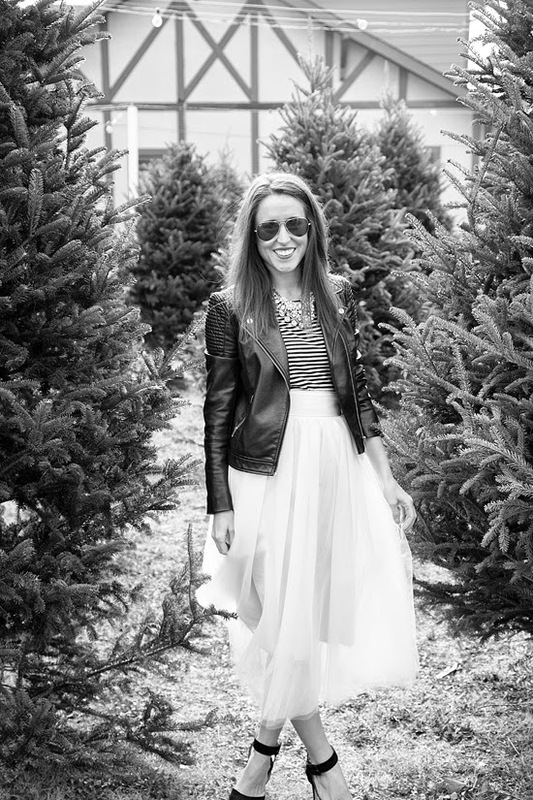 Joining up with my girlfriends to show you how we dress for Holiday parties! Nothing like celebrating teaching the next generation like wearing a ballerina tutu & toasting to funny stories from the trenches - kids DO say the darndest things! This skirt really does make me feel like a princess! I have worn it before more casually, & then for Christmas last year as well, but I think this is my favorite way yet! 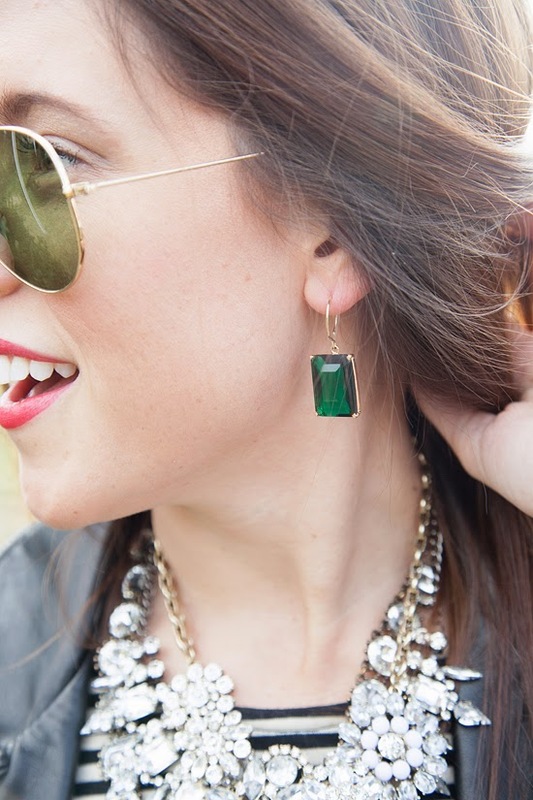 The edgier accessories & these stunning earrings really seal the deal for me. What are you wearing to your holiday parties this year? I love that skirt and those shoes! So festive! 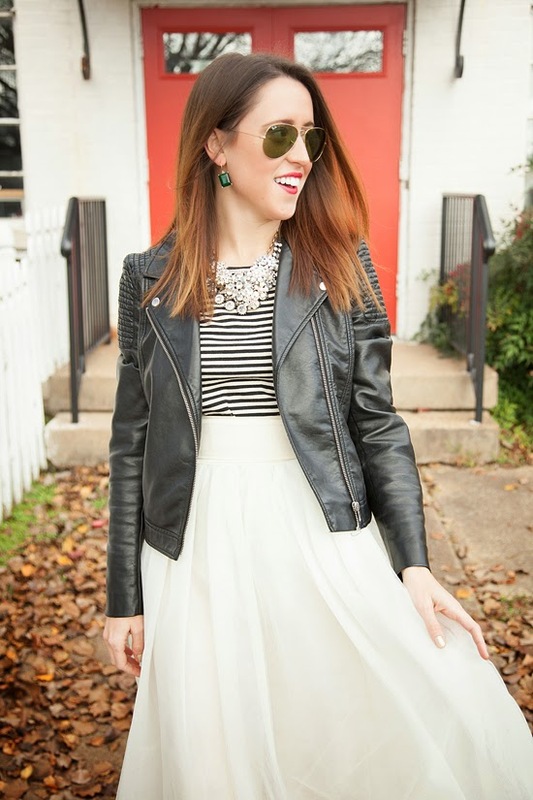 This tutu is absolutely fantastic piece and your necklace and earrings are so chic and such a great statement pieces! that skirt is so gorgeous! I love the skirt styled this way! The edgy look is just awesome. And those earrings are perfection! Obsessed with that necklace!! It makes the whole outfit come together! This skirt is adorable! So holiday ready! Such a lovely outfit! That skirt is gorgeous! Thank you! A tutu definitely is the quickest way for me to feel like the ultimate girlie girl! Thank you so much lady! I had a blast wearing it all too! 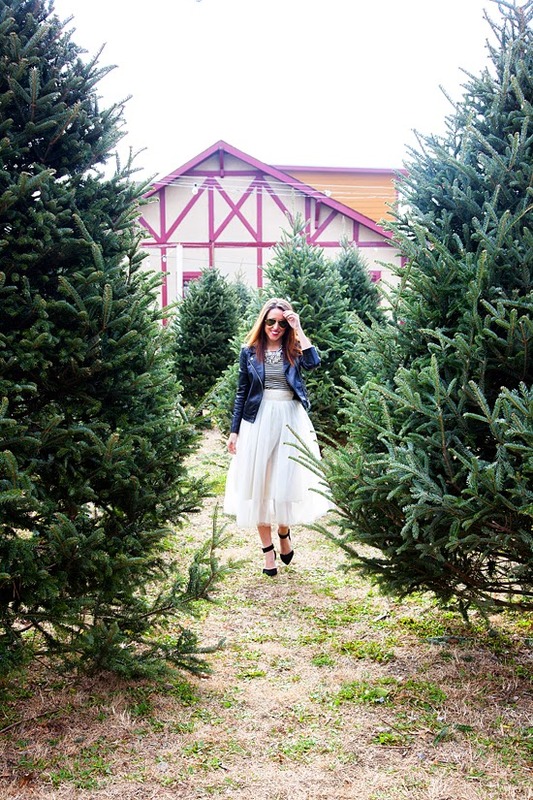 haha, the best part was me asking the lumberjack men if I could take fashion blog pictures in their lot! I don't think they knew what was going on!